Featuring the best Cut Out And Keep entry ever, and also a slow-closing toilet seat. The etymology of swears, damp shirt syndrome, doing the do, and Kevin Eldon titting about. 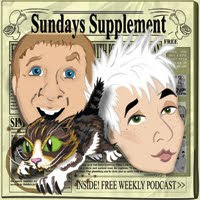 The best use for an iPhone, Darth Vader's urinary problems and John Humphries spouting tommyrot.